Domagoj Gušćić (Zagreb, 1982) received his graduate and postgraduate degrees from Academy of Music, University of Zagreb, where he had studied with Prof. Đuro Tikvica. He attended masterclasses with distinguished pianists such as Eugene Indjic, Noel Flores, Boris Romanov, Irina Osipova, Zinaida Ignateva, Ivan Urvalov, Irina Kataeva and others. He was awarded several significant awards at international piano competitions in Russia, Italy and Macedonia. Domagoj performs extensively both as a soloist and chamber musician. He has performed in the USA, Russia, Austria, Norway, Switzerland, Germany, Italy, Hungary and Slovenia. He’s also performed recitals in Zagreb and throughout Croatia. He has also performed with Wien International Soloists Ensemble. Domagoj gave solo performances with Zagreb Philharmonic Orchestra, Symphony Orchestra of the Academy of Music, University of Zagreb, Zagreb Youth Chamber Orchestra and the chamber orchestra of the Pavao Markovac Music School. Since 2014 he has collaborated with Croatian Radio Television Symphony Orchestra, with which he also recorded an episode for the television show “Maestro” which aired in October 2014. 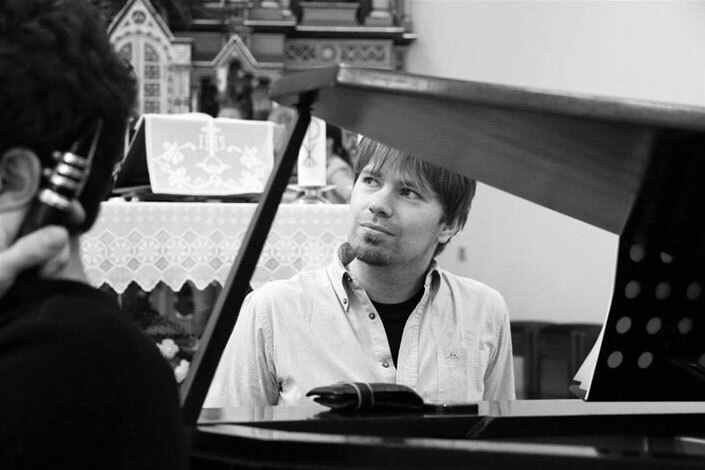 Domagoj has performed extensively at festivals such as “Nei Suoni dei luoghi” in Italy, “Hugo Staehle” Festival for Young Pianists both as a performer and a member of faculty in Kassel, Germany and Vareš Classic Festival. His notable performances include recitals at seasons “Youth in Lisinski”, “Young Musicians at Matica Hrvatska” and Virtuoso in Zagreb. He was also a guest lecturer at the “Transformation of Music Education: Tradition and the Present” international conference in Odessa, Ukraine in May 2012. He has been collaborating with Wien International Soloists Ensemble since 2015. Domagoj is currently employed at the Academy of Music, University of Zagreb as a collaborative pianist.